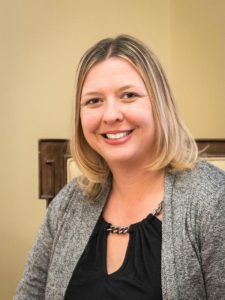 As Executive Director, Jennifer is responsible for the overall operations and regulatory oversight at The Memory Center Richmond. 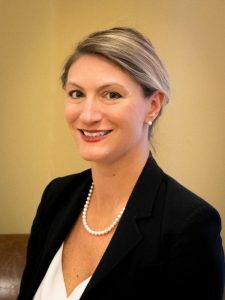 Jennifer started her career in the senior care industry in 2005, and has served as Executive Director as well as Regional Operations Director across Virginia, Washington DC, and Maryland. Jennifer brings extensive operational experience to The Memory Center, and is dedicated to ensuring that our residents receive the absolute best care and services. She believes that her job is to make residents, their families, and staff feel as though they are a part of her family, and to make each day the best day possible for those in her care. When not at work, Jennifer enjoys spending time traveling, watching college football (Go Hokies! ), and being outside as much as possible. Jim Wright, MD, PhD, MATS is a physician whose medical practice is focused solely on long term care, assisted living and skilled nursing facilities. 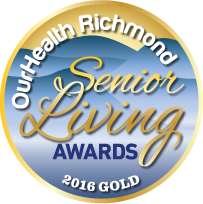 He is medical director of Lexington Court Health and Rehab Center in Richmond and The Memory Center Assisted Living in Midlothian, VA. He received his MD and PhD from VCU School of Medicine in 1995 and completed a residency in Family Practice in 1998. He holds a Masters of Arts in Theological Studies from Union Presbyterian Seminary and a Certificate in Bioethics from Loyola University, Chicago. Prior to joining Legacy Care, he was an Associate Professor of Medicine with VCU Geriatrics. 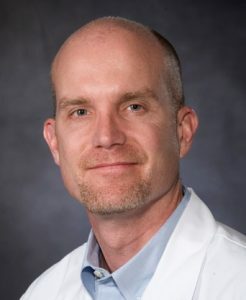 He writes and speaks on the intersection of religion, ethics and medicine and is published in a number of peer reviewed journals including the Journal of the American Geriatrics Society and the Journal of Religion and Health. Shavonne has been in the nursing field for 22 years. She started as a Certified Nursing Assistant and later worked to achieve her Licensed Practical Nurse. Shavonne has also completed the Assisted Living Administrator in Training program. Her favorite part of working at The Memory Center is making sure our residents receive the best care. Shavonne enjoys spending time with her husband, daughter and dog Snickers. When not at work, she likes to shop and travel. Samira moved to the United States from Bosnia in 1997. She has been a nurse for 10 years. Samira started at The Memory Center as a charge nurse when we first opened. She has now been our Assistant Director of Nursing for 2 years. Samira enjoys working with the residents at The Memory Center because it such rewarding work to know you have helped take care of someone. In her free time she likes to learn about other cultures through reading and traveling. 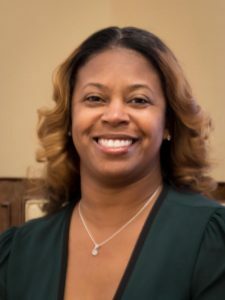 Katrina attended Virginia Commonwealth University (VCU) as a social work major and The College of the Albemarle where she received a certification in Early Childhood Education. 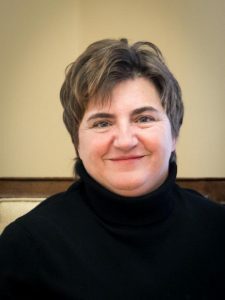 Over the past eight years she has been working as an Activities Director in senior care with three years dedicated to Memory Care. She has been involved with the Alzheimer Association and is a Certified Dementia Practitioner. Katrina truly loves working with the senior population and building meaningful relationships. It is her goal to make each day rewarding and fun for everyone involved. She lives in Midlothian with her husband and 4 children. Her favorite place to be when not working is in the mountains enjoy skiing and spending quality time with her family. Paul’s passion for cooking started at an early age and he enjoys culinary creations of all types. His specialty is based on family recipes from Eastern Europe and Middle Eastern cuisine. 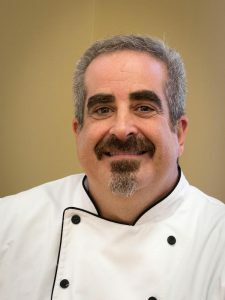 Prior to joining the Richmond team, he served as a chef for the University of Richmond culinary team which is ranked in the top twenty university dining services in the nation. Also he worked in an assisted living community where he specialized in offering meals to meet the dietary needs of its aging senior population. Paul brings his culinary skills to The Memory Center to create wholesome meals that make our cherished residents feel like they are truly at home and cared about. He lives in Midlothian with his family and three daughters. Reggie started his career in the Navy serving for 8 years. 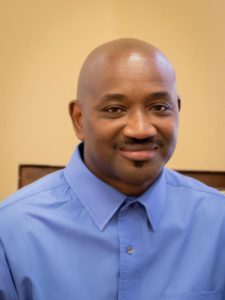 He then transitioned into hotel management working as a manager at the Sheraton Hotel in Richmond, VA. Reggie began work with The Memory Center part time and quickly turned full time as our Maintenance and Housekeeping Director. He enjoys interacting with the residents including leading our wood work program. In his free time, Reggie is a basketball coach for his son’s team and the Athletic Director for the Chesterfield Basketball League. He has three children ages 16, 8 and 5.